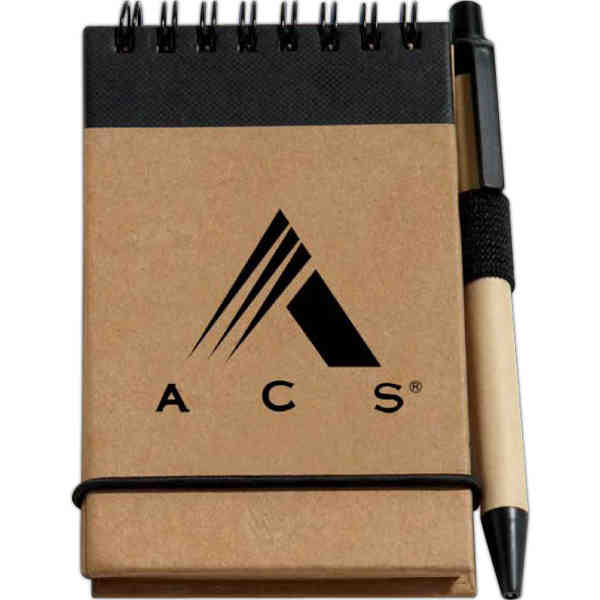 Imprint Method: 1 Color 1 Location - Here is the perfect promotional item to keep your valued clients constantly reminded of your stellar service - Recycled Jotter Pad with Pen. This handy 60 page jotter pad, made with a 100% recycled cover, features 70% recycled pages and a pen made with 50% recycled cardboard so you can assure recipients this is an eco friendly product! This is the perfect item to customize for any meeting, conference, convention or tradeshow.